Size: approx. 10 mm. Photo: 06/03/15, 10 pm. 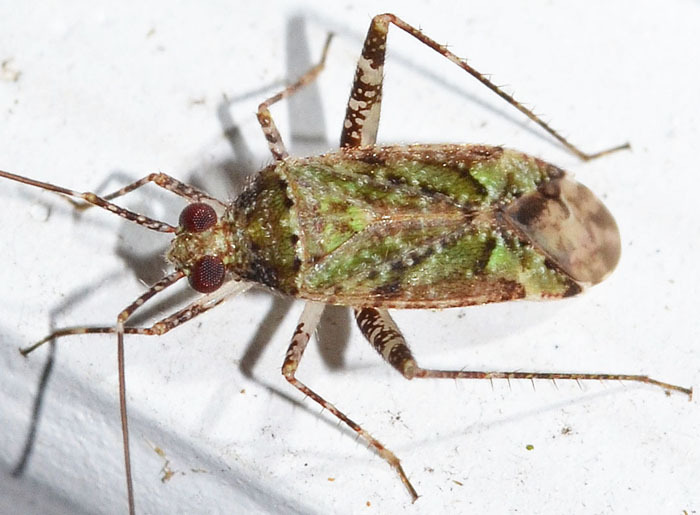 The plant bug genus Phytocoris has about 300 species in North America, which are divided into four different "groups". 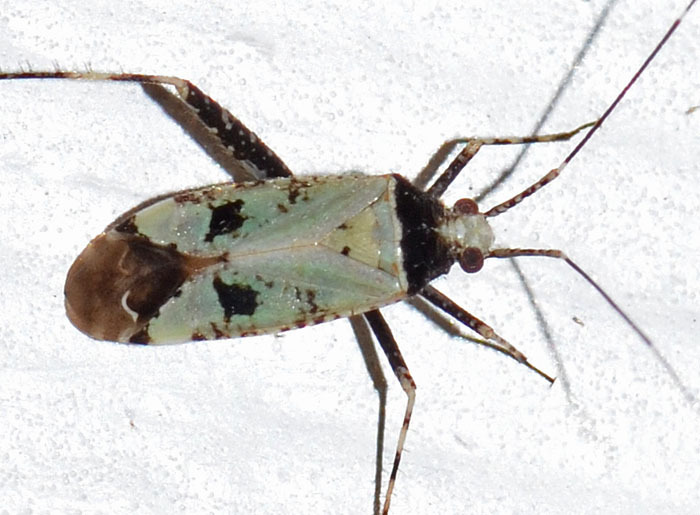 The wing membrane of bugs in Group I is "confusedly sprinkled with discolored or dark spots, or with numerous, minute, pale spots", which seems to be a pretty good description of this specimen. The other three groups do not have minute, pale spots. 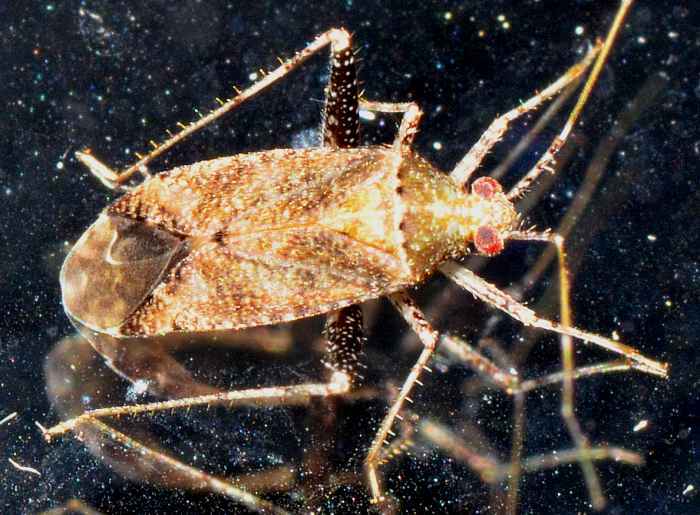 The small photos show a specimen with a seemingly less elongated body (04/17/12) and paler one (08/27/14).